Bali Activities Tour is a Bali Adventure Activity Packages we offer for your holiday by offer Outdoor and Indoor Activities and Adventure Tours to enjoy Bali has to offer. Bali has a coastline which offers every possible water activity such as diving, surfing, sailing and many more also Bali is perfect spot to do out door activities suchs as cycling, hiking and many other including some extreme activities. We can help you to arrange activity for you, below Bali Activity Tour package in Bali Tours and we always keep update if there is new Bali Activities Tour in Bali islands. If you have another activities tour that we dont know in this program, just let us know and we will help you to arrange and will make this holiday very special for you and family. Our Bali Tours Driver always make sure your safety and satisfacion during Bali Activities Tour in Bali Islands. Please see below is short description our Bali Activities Tours package we choose from the best Adventure Tours to make your holiday amazing dan you will never forget. All the selection of our Bali Activity is comprehensive one from water activity, adventure activity and the most extreme Activities Tours Activity. Bali Spa Tour is a relaxing Bali Activities Tours package to enjoy relax, refresh your mind and pamper yourself on the bali island by following a Activities program of the SPA packages, possibly as long as your country is always busy and no time to pamper yourself. This is the place where you can select the massage package that you like here is not just pamper yourself but refresh your mind. Bali Cycling Tour is a exercise and Fun Bali Activities Tours to enjoy adventure cycling tour starts from Kintamani mountain peaks continue to fall through the expanse of green plantations and rice fields, we can feel the cool air away from the rural town atmosphere that makes us stressed. in this adventure we certainly supervised by the best experienced cycling adventure instructors. Bali ATV Ride Tour is fun and rare experience of Bali Activities Tours to enjoy a high quality of service of fun ATV Riding trips in Bongkasa village area. Our experience ATV Ride adventure instructor will carry out a full safety briefing before riding through the jungle, Balinese villages, and see view rice paddy in the crossing back road tracks and take in the breathtaking nature beautifull views. 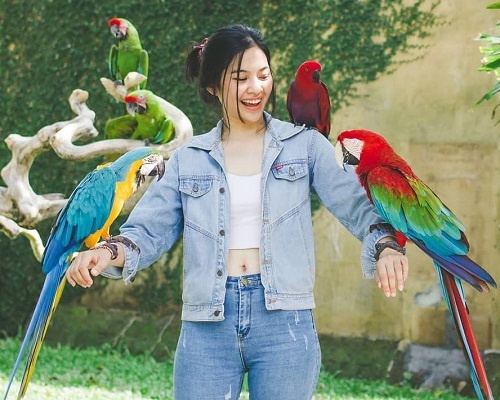 Bali Zoo Park Tour is a fun and education Bali Activities Tours for your children to enjoy to visit private zoo own by balinese, the bali zoo parks was set in 12 acres lush tropical garden and flowers surrounded. Very up market zoo wtih 100s quality build habitats including petting area for animals, walk through bird aviaries, Gibbon Islands, and Komodo Dragon cage and latest open range for african lions den. Bali Trekking Tour is a stunning and amazing experience in program Bali Activities Tours we have by offer to enjoy to climbing Mount Batur in the early morning. This adventure is may be an alternative of your choice while in Bali, in the early morning hours around 4 pm you will be invited to climb the mountain accompanied by a local adventure trekking guide who knew a shorter road to the summit of the mountain. 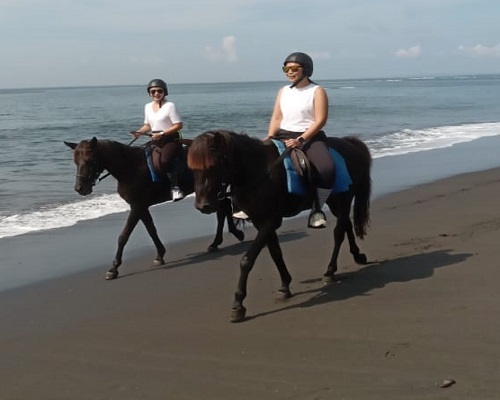 Bali Horse Riding Tour is a fun adventure by riding horse during the Bali Activities Tours packages program we offer, this adventure to enjoy sweeping the beach while passing water waves serangan beach and also look at the life of local residents. in this adventure we will also pass some beautiful view of the scenery of serangan village. Never missed the excited and rare experience explore the village by riding a horse. Bali River Tubing Tour is a Fabulous water activity inBali Adventure Tours packages we offer by try different way to explore the river in Bali, located in the north east of Ubud and will provide you to best river and by float your own tube. You can check out this unspoiled, authentic portion of Bali in the really adventurous way. So you will see that this blend offers you an unforgettable memory. Bali Elephant Ride Tour is amazing riding in program Bali Adventure Tours packages we have to enjoy riding elephant program with variety duration and is its place in the side of the river soar, here you will get a new adventure riding elephants in the open air. Along the way you sit in the back of an elephant while enjoying the beautiful scenery with views of rice fields, passed local village and river views. Bali Orchid Garden Tour is the beautiful journey in our Bali Adventure Tours packages by offer you to visit the botanical garden with hundreds of beauty orchid plants, is open for individual tourists, tour groups and private functions. Within this relaxing tropical garden haven grow many different tropical plants from Cordylines, Bromeliads, Heliconia, Aroids, Pitcher plants (nepenthes) and many more. Bali Safari Marine Park Tour is fun and exciting journey in our Bali Adventure Tours packages program by offer you to visit animal and marine park in Bali, located on a step hillside between the mountain and the sea on the splendid island of Bali, Enjoy various adventure program in this parks and each of the adventure program offer full of excitement, education and surely is fun for your kids and children. Bali Odyssey Submarine Tour is great experience in program Bali Adventure Tours packages by enjoy dive for 45 minutes in the submarine in the east bali. the best submarine in Bali and definitely your best choice to explore the Bali underwater. With the normal diving site up to 90 ft deep in this unique vessel, you will be taken to the most breathtaking and rarely visited underwater world.